New. 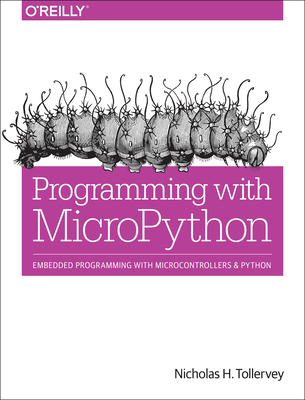 Learn how to use MicroPython to make cool stuff with the BBC micro: bit, a simple, fun, and powerful gateway into both hardware and software development. This practical book assumes no previous knowledge of programming and takes you on a journey from first steps to advanced projects. Num Pages: 250 pages. BIC Classification: UMW. Category: (P) Professional & Vocational. Dimension: 250 x 150 x 15. Weight in Grams: 666. 2017. 1st Edition. Paperback.....We ship daily from our Bookshop. New. Trade paperback (US). Glued binding. 214 p. Intended for a juvenile audience.